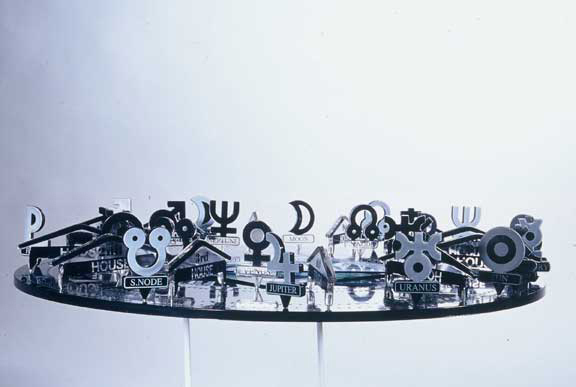 Catherine Santos was first introduced to Astrology in the summer of 1975 in Asia. Following a tragic event in her life she went to see a astrologer recommended to her by a friend. When she arrived for her appointment, the man she went to see Dr. Uy, told her she was very fortunate because his Teacher was going to read her chart. After being assured that his teacher was really very good and that he had taught him everything that he knew she agreed to let his teacher Dr. Onsiako read her chart. He told her many things that day about herself and her past and that her chart indicated she had a natural propensity for astrology, that one day she would even publish works in this field. He also told her that it was his duty to teach her and if she was so inclined he would accept her as his student, no fee would be required. Catherine accepted his offer which was later revealed to be unique, for his students were few and far between. John Simonello, has always had an interest in Astrology and all paths concerning self knowledge and higher understanding. He has spent many hours in enlivened debates and discussions concerning these matters. After meeting Catherine in the fall of 1989, John discovered that Catherine had a special gift and understanding of astrology a talent that she hadn't given much thought to for many years. Realizing how much they and others loved to hear what astrology had to say John and Catherine began to think of ways to develope and deliver this fascinating information . Then one day it came to them. "The Planetary Workstation". A delivery system that was both interesting and simple to use, literally placing the volumes of astrological information available today at the fingertips of anyone interested. They knew what they had to do and one of the fruits of that labor is the Personal Astrologer Planetary Workstation.